Renowned for its passionate musicality, impressive technique, and multicultural innovations, Shanghai Quartet, celebrating its thirty-fifth anniversary season, will be joined by “America’s power couple of chamber music,” (The Wall Street Journal) esteemed classical musicians cellist David Finckel and pianist Wu Han, recipients of Musical America’s Musicians of the Year award. Shanghai Quartet’s elegant style melds Eastern music with Western repertoire, traversing musical genres from folk music to great masterpieces to cutting-edge contemporary works. The evening’s program will include Franz Schubert's final chamber work, the String Quintet in C Major (D. 956, Op. posth. 163), and Antonín Dvořák's Piano Quintet No. 2 in A Major, Op. 81, B. 155. 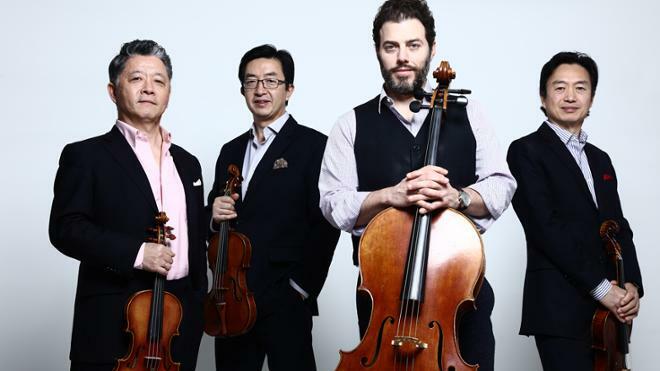 Arrive early for a pre-performance discussion with the Shanghai Quartet, led by WCVE Music Classical host Mike Goldberg at 6:30 PM.